If you run from the police, you may be facing a charge of “fleeing and eluding.” In Florida, fleeing or attempting to flee a police officer is a felony — a serious charge that could affect you for the rest of your life. If you have been charged with fleeing and eluding, you should contact an experienced attorney to protect you from consequences such as driver’s license revocation and prison. Purposely evading or attempting to flee a law enforcement officer in clearly marked patrol vehicle with siren and lights activated. The charge of fleeing and eluding may come down to the perception of the arresting police. To convict you, the prosecutor must show that you had knowledge that you had been ordered to stop by a law enforcement officer. The patrol car that pursued you must have agency insignia and other jurisdictional markings prominently displayed on the vehicle. This crime is a third-degree felony, punishable by up to five years in prison. If you are convicted, the court will revoke your driver’s license for a minimum of one year and as long as five years. If you drive at high speed or in a manner that demonstrates a wanton disregard for the safety of people or property and then cause injury or death to another person, you can be charged with aggravated fleeing and eluding. Aggravated fleeing and eluding is a second-degree felony, punishable by up to 10 years of prison with a minimum mandatory sentence of three years. You can also be charged with this crime if you leave the scene of an accident causing serious injury or death having knowledge that you have been ordered to stop by a law enforcement officer. 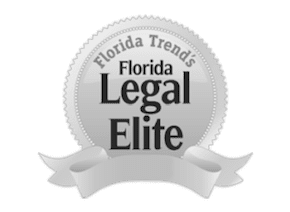 Do You Need Help With A Fleeing And Eluding Charge in Florida? At The Umansky Law Firm, our criminal defense lawyers in Orlando, FL are here to protect your driver’s license and your liberty if you have been arrested. We have over 60 years of combined experience that we put to use when standing up for your rights after a fleeing and eluding charge. To schedule a free case review with an Orlando criminal defense attorney at The Umansky Law Firm, contact us online or call 407-228-3838.